The Oklahoma River comes alive with a thrilling on-the-water competition. Paddle, swim, dive or drive down to the Oklahoma River in early August to experience the American Canoe Association Sprint National Club Championship and U.S. Masters National Championship at Riversport Adventures in Oklahoma City. This year’s event features an updated race program with four days of exhilarating, on-the-water competition. The championship welcomes top collegiate and junior paddlers from around the country – from Hawaii to Washington – along with a handful of Oklahoma athletes, too, battling it out for a spot in a coveted regatta. 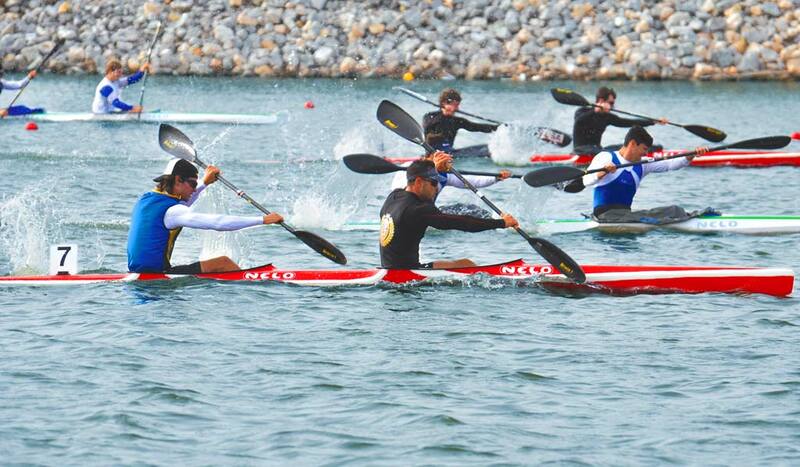 Competitors row down the Oklahoma river at last year’s American Canoe Association Sprint National Club Championship. Riversport Adventures, including the ever-thrilling Riversport Rapids and the SandRidge Sky Zip, are open from 11 a.m. to 6 p.m. during the Sprint National Championships, meaning you can watch the competition on the shore of the river or get in on the fun yourself during the Aug 1-4 event. For more information on the championships and RiverSport Adventures, visit riversportokc.org.